Physicians and specialists often rely on recommended standard dosages when prescribing the drugs that their patients need for a variety of medical conditions. But how do they determine the recommended dosage of testosterone enanthate, which is not classified as a drug but as a bio-identical controlled substance, for patients who require testosterone replacement therapy (commonly referred to as TRT)? What enables them to identify the varying hormone levels that are considered optimal from patient to patient? 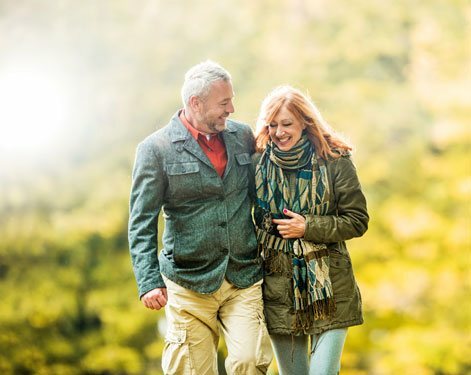 The fact that men, and even some women, who are suffering from testosterone deficiency symptoms can successfully replenish what their bodies are no longer capable of producing is due to the medical science achievements in hormone replacement therapy that have taken place over the past 50 years. These achievements have included the clinical testing of TRT programs on adults of varying ages; the development of sophisticated blood tests that are able to measure the available male hormone levels circulating within a patient’s system; and improved pharmaceutical versions of bio-identical testosterone treatment substances that patients can use safely and effectively. 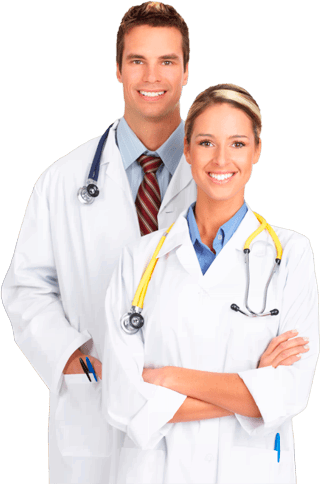 Yet in addition to drawing from these important developments in male hormone replacement therapy, it is their specialized medical training and substantial experience that allows TRT doctors to provide each of their patients with the optimal recommended dosage of testosterone enanthate or any other prescribed treatment they will be using. They have learned that there is no one standard dosage that is going to be appropriate for all patents to use, primarily because every individual patient will have his or her own specific requirements that are going to be factors in what their own ideal dosage should be. Next, we’ll take a closer look at what those requirements and factors are. When you choose Nexel Medical as your TRT provider, you can be assured that your treatment will follow the recommended medical protocols that provide for its effectiveness and safety. Why should this be important for you to know? It’s because one of the main reasons that the illegal and medically unsupervised use of steroids such as testosterone is unsafe – and often counterproductive – is the absence of these protocols. The other main reason is that illegally obtained pharmaceutical substances are often not up to the standards demanded by our federal drug regulating agencies; many of these substances are manufactured outside of the US, and many of them are not what they claim to be. So where is an illegal user going to get information of the recommended dosage of testosterone enanthate to use? From an online bodybuilding forum or blog? From his acquaintances at the gym he frequents? He won’t be getting it from an experienced and fully licensed TRT doctor such as those that you will find at Nexel Medical, who are legally and successfully treating Low T patients nationwide. Here is how we do it: Our doctors decided to provide all US adults who clinically qualify for testosterone replacement therapy with online access to the medically prescribed treatment they require. To accomplish this ambitious innovation, we needed to make our medically correct treatment procedures locally available to people living in all 50 states. The required procedures consist of two steps that adults can now have performed right in their local areas under Nexel Medical’s supervision – a testosterone blood test and a medical exam. The other requirement is your medical history, which can be submitted to us by using the convenient form found on our website. Our doctors then review your test results, medical exam results and symptoms to determine if you will be diagnosed with testosterone deficiency. If you are diagnosed as having this disorder, your medical history will be evaluated to determine if you are a viable candidate for using TRT. If nothing in your health history contraindicates the use of treatment, our doctors will then consider all of your individual physiological factors in deciding on the recommended dosage of testosterone enanthate (or other formulation of treatment) that will provide you with your optimal therapeutic results. Your weight, age and current condition of health are all vital factors that are considered in determining your appropriate dosage. The goal of medical TRT is to restore the patient’s male hormone supply to its most beneficial levels, and not to make them excessively high, which is what most illegal users end up doing with their self-determined dosages, either intentionally or accidently. Excessively high testosterone levels that are sustained for extended periods of time have the potential of being very detrimental to an adult’s health and longevity expectations. What are your expectations regarding the use of testosterone enanthate injections in a doctor-prescribed Low T treatment program? Do feel as though all of your questions have been answered by what you may have read online or heard from others, or do you wish that you could get additional information from a qualified medical provider that actually prescribes them for adult patients? Well, it there is more that you would like to find out regarding the recommended dosage of testosterone enanthate or any other aspect of using TRT, you are always welcome to contact Nexel Medical and speak directly with one of our experienced and helpful TRT clinical advisors. Perhaps you have some questions about how to prepare and administer medically prescribed testosterone enanthate injections, or want to learn why injectable treatment dosages for this substance generally vary from 200mg to 800mg. Maybe you would like to know if your expectations of the benefits that you will receive from using TRT are realistic ones; one of our advisors will be happy to discuss any aspect of treatment that you have questions about. We can also explain in further detail our process for becoming a Nexel Medical TRT patient, and how efficient and convenient our doctors have made that process for you. With just ne phone call to us, you can have us schedule a testosterone blood levels test and physical exam in your local area for you, which will indicate whether you medically qualify for using TRT. When you receive your Low T therapy prescription from our doctors, it will specify what your recommended dosage of testosterone enanthate injections is; and you will be able to purchase your prescribed treatments online through our fully licensed US pharmacy for prompt and secure delivery to you. If you feel that there is more you would like to learn about using TRT before making your decision about receiving testing and treatment, we encourage you to contact us, either by phone or email, and obtain all of the information you want. The more you understand how it works, the better informed your decision will be about using doctor prescribed TRT to regain all of the health benefits that a properly balanced testosterone supply provides.